If you do not have a large amount of money but you wholeheartedly want to get one of the world's fastest production cars then welcome to Bugatti. This hypercar is the most desired by the version of many auto magazines and its cost is several times higher than luxury cars. 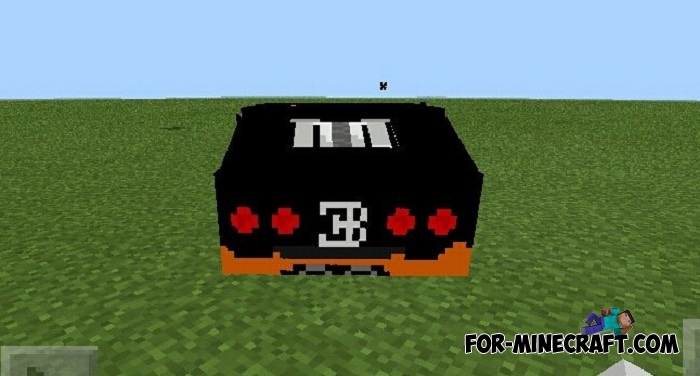 Thanks to MCPE addons, you can easily drive a Bugatti Veyron or choose a few copies. 1. Install the addon and run to the swamps, the bugatti appear exactly there. 2. Take the key (carrot on a stick) and sit in the car. 3. Attach a small garage or parking lot for your hypercar. 4. 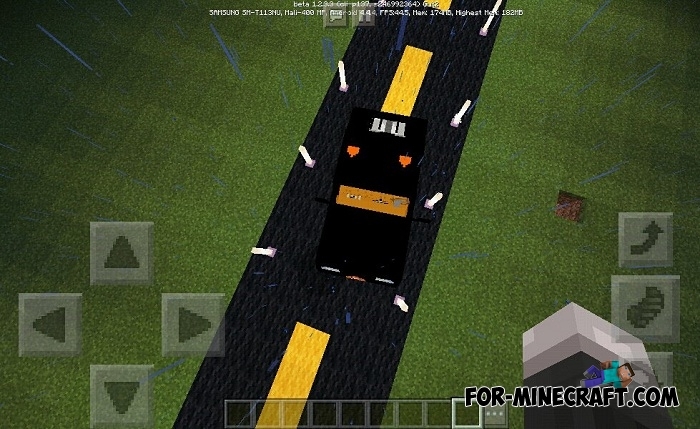 Travel at high speed and do not think about fuel, since the bugatti does not consume gasoline in this addon. 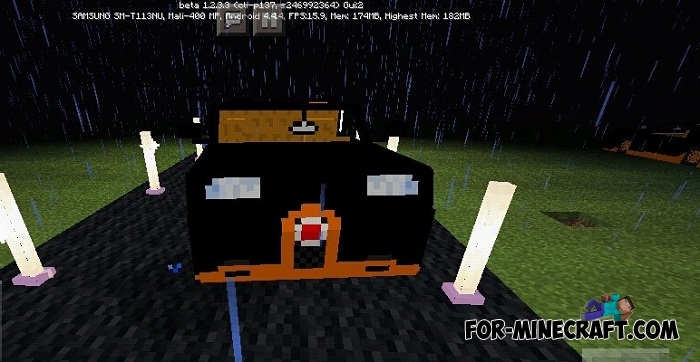 How to install the Bugatti addon?